Exporters and suppliers of all kinds of generators are available silent generators&open generators mounted trolly gen sets base frame engine truck silent dg sets are available hire facility and attractive rates. ANTEC Services provides thermal engineering consulting services to industries across India. The company specializes in providing steam boilers, retrofitting, boiler fuel conversion, power plant planning/designing and steam generation solutions. It provides state-of-the-art solutions to enhance the efficiency of boilers and turbines. 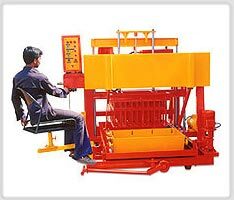 Manufacturers & exporters of power press machine etc. Mr. K Srinivasan are involved in manufacturing and exporting of abrasives products such as abrasive rollers, rice abrasive rollers, triangular polishing blocks, coated abrasives and bonded abrasives in india besides ceramics, silicon carbide, super refractories, electro minerals, industrial ceramics, carborundum, power tools and thin wheels, etc. We are engage in offering services like anaerobic digestion power plant project, biomass power plant (6mw/h), biomass power plant project, co generation power plant project, gasification biomass power plant project. We at CGPL (Coastal Gujarat Power Limited) are in Operational stage of our 4000 MW Ultra mega Power Plant based in Mundra, Gujarat. » Send Enquiry to Coastal Gujarat Power Ltd.
Dipon Gas & Infrastructure Pvt. Ltd.
We are providing services of working on power plant projects. » Send Enquiry to Dipon Gas & Infrastructure Pvt. Ltd.
Manufacturers & exporters of ralli wolf power tools, bosch power tools, horse power tools, fenner v-belts, asbestos material, asbestos cloth, firefly sheet, stantor pinbarsprinting trolleys, magnetic rods, design setting, screensetting, stantor machines material, s.s welding rods, etc. Flowlines Engg. Pvt. Ltd. Suppliers of special purpose machines, power press, cylinders, spm industrial machinery & parts, etc. » Send Enquiry to Flowlines Engg. Pvt. Ltd.
Harbans Lal Malhotra & Sons Ltd. Engaged in manufactures and exporters of cold rolled stainless strips, grinding wheel krytax-1000-timing belts & spares engineering goods & equipment, power tools and machine tools etc. » Send Enquiry to Harbans Lal Malhotra & Sons Ltd.